Okay…I know these don’t fall under my typical whole foods cooking style. I know…I know. 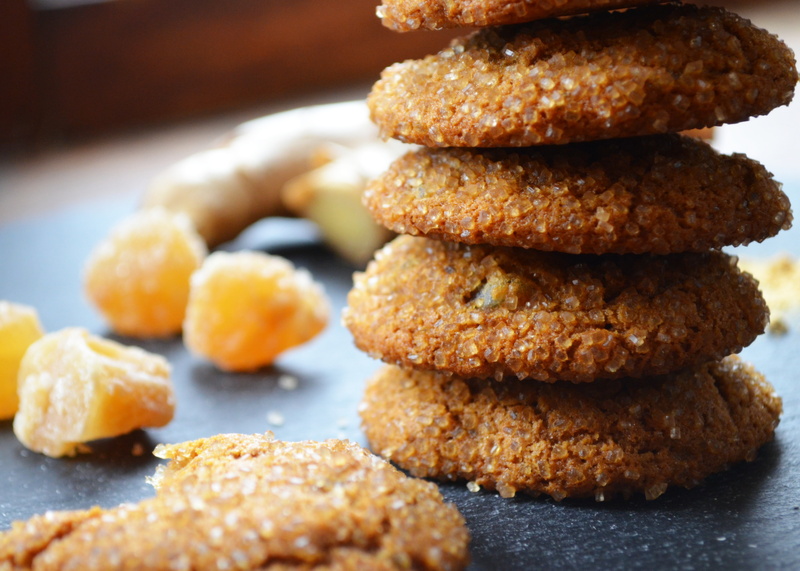 But if you want to add some gingery goodness to your life and you want to do it by making a chewy on the inside, crispy on the edges, sweet treat, this is the recipe for you. And there is the redeeming quality that you use whole wheat flour in this recipe and lots of fresh, ground, and candied ginger. 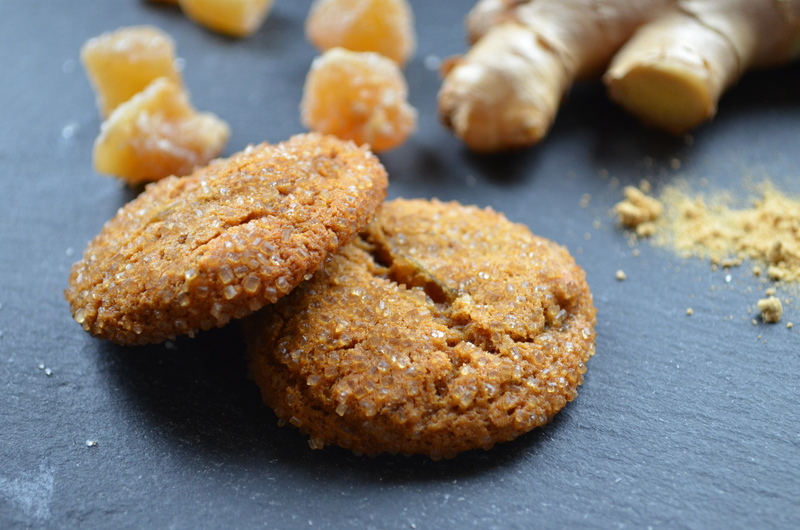 And ginger is great for your digestion. So there. I found this recipe in Country Living Magazine and these cookies easily found a place in boxes of Christmas cookies I passed out. They also found a place in my heart and in my home and will surely be made for years to come. Enjoy! In a large bowl, stir together flour, ground ginger, baking soda, and a pinch of salt. Set aside. In a small pan over medium-low heat, melt butter. Remove from heat and stir in molasses, brown sugar, and fresh ginger. Let cool. Add egg to cooled molasses mixture and stir to combine. Slowly stir into reserved dry ingredients, then stir in crystallized ginger. Cover with plastic wrap and chill for 1 hour. Preheat oven to 350 degrees F. Meanwhile, place turbinado sugar in a shallow bowl. 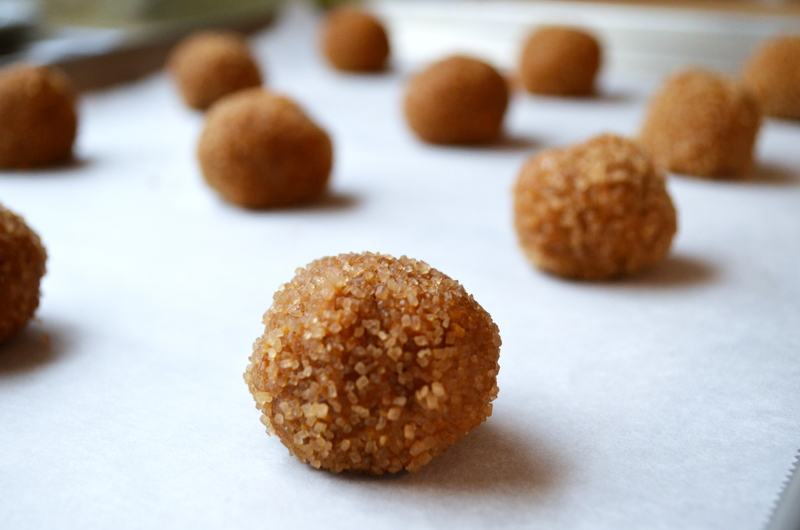 Shape dough into half-inch balls, then roll in turbinado sugar. Place cookies on two parchment-lined baking sheets, leaving 2 inches between cookies. Bake for 8 to 10 minutes. Transfer to a wire rack to cool.